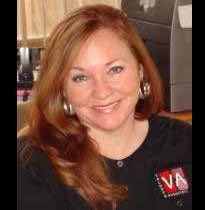 Santa Fe Property Management - Valdez & AssociatesValdez & Associates, Inc.
Samantha Monnet: Is a native Santa Fean and brings 22 years of experience in her background of Santa Fe Property Management and New Mexico Real Estate. She has developed an extensive clientele which demonstrates the level of her abilities and professionalism. As a young girl she learned how important responsibility is in a work environment and providing good public service. Her entire career has been committed to being knowledgeable, honest, dependable, professional, and service oriented to the best of her ability. Contact Samantha today for all your Santa Property Managment, Santa Fe Rental or general New Mexico Real Estate needs for the well known personal touch for which Valdez & Associates is known. No Featured Property Found Under Agent Samantha Monnet.